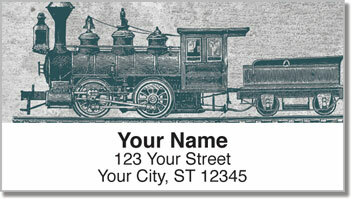 Celebrate the history of the railroad in America with these attractive return address labels depicting the early days of steam locomotives. Railroad tracks that crisscrossed the country linked the West to the rest of the nation, boosting the U.S. economy and completely changing the way we lived while bringing American people closer together. 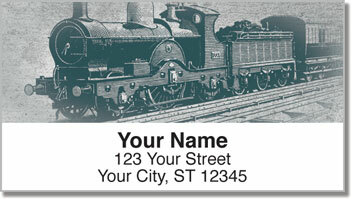 The classic images featured on Vintage Train Address Labels from CheckAdvantage are detailed depictions of the engines that pulled us forward. They're an excellent choice for both history buffs and collectors. Use this convenient product to give your outgoing mail an interesting look while eliminating the time you spend scribbling out your name and address on every envelope. 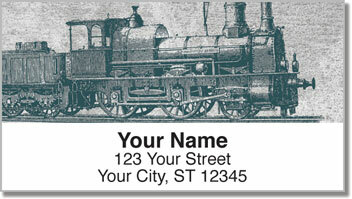 Get your own Vintage Train Address Labels right now! 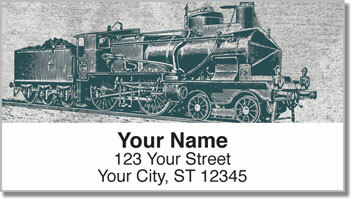 Complete your collection by choosing matching personal checks as well!